UNIVERSAL CITY, CA, August 5, 2015 -- Universal Pictures today announced that the studio has grossed $5.53 billion, marking the highest-grossing year ever for a studio in industry history. In just seven months, Universal bested the record previously held by 20th Century Fox which ended 2014 with $5.52 billion. To date, Universal has grossed $3.59 billion internationally and $1.94 billion domestically and is poised to cross $2 billion at the North American box office later this month. The announcement was made by Jeff Shell, Chairman, Universal Filmed Entertainment Group and Donna Langley, Chairman, Universal Pictures. "At Universal we are fortunate to have the best team in the business," said Shell. "This tremendous success is a result of continued strategic decision-making from our production, marketing and distribution teams, along with strong dating choices. I'm tremendously proud of the success we've been able to achieve together." "We are in business with some of the most talented people in the industry and the success of our slate this year is a testament to the creativity and vision of our filmmakers," said Langley. "With five months remaining in 2015 and ten films still to come, we look forward to celebrating even more record-breaking milestones." 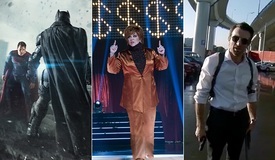 Universal's success was fueled by some of the biggest films of the year, including Jurassic World ($1.562 billion) and Furious 7 ($1.515 billion)-which are the third and fifth highest-grossing films in history, respectively-as well as Illumination Entertainment's Minions ($875 million), Fifty Shades of Grey ($570 million) and Pitch Perfect 2 ($283 million). · and $3 billion, $4 billion and $5 billion at the worldwide box office. In North America, Universal has five of the top eight openers of 2015: No. 1, Jurassic World ($208.7 million); No. 3, Furious 7 ($147.2 million); No. 4, Minions ($115.7 million); No. 7, Fifty Shades of Grey ($85.2 million); and No. 8, Pitch Perfect 2 ($69.2 million). 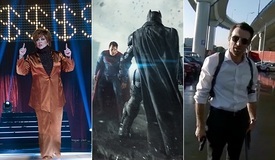 These films also represent five of the top 10 highest-grossing films of the year. Universal has been No.1 at the domestic box office for 11 weekends, celebrated four worldwide No. 1 openings and has held the top spot at the international box office 12 times-all more than any other studio. · Jurassic World had the biggest opening weekend of all-time internationally, domestically and worldwide. 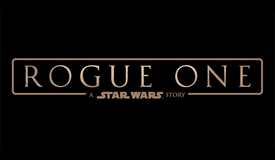 It is the fastest film to reach $1 billion worldwide after only 13 days of release, and is currently the third-highest-grossing film worldwide ever, behind only Avatar and Titanic. · Illumination Entertainment's Minions earned the second-highest opening for an animated film in North America, the highest opening for an animated 3-D film of all time and the biggest animated opening day ever. 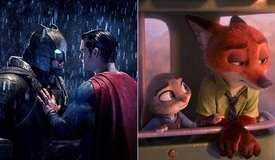 It is also only the fourth animated film ever to cross $100 million in its opening weekend-the first to do so since 2010. Minions is currently the highest-grossing animated film of the year; sixth-highest-grossing animated film at the international box office; and ninth-highest-grossing animated title worldwide. · Furious 7 is the highest-grossing film ever in China ($390.8 million) and the third-highest-grossing film at the international box office ever, joining the ranks of Avatar and Titanic as only the third film in history to reach $1 billion in international box office. It is also the fifth-highest-grossing film worldwide ever. · In its first weekend alone, Pitch Perfect 2 out-grossed the domestic lifetime total of Pitch Perfect ($65 million) and more than doubled its modest production budget. 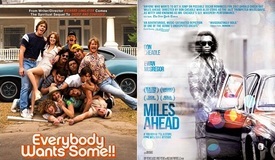 It was the highest-grossing live-action musical opening and the second-highest PG-13 comedy opening ever. 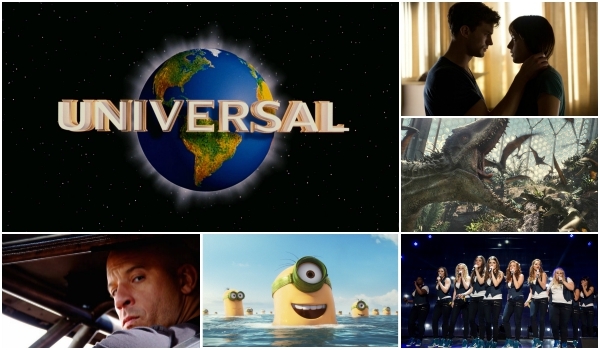 Universal continues to charge ahead with an outstanding 2015 slate, including Straight Outta Compton, the astonishing story of the meteoric rise and fall of N.W.A, which is directed by F. Gary Gray; writer, director, producer M. Night Shyamalan's return to the genre that launched his career in a new original thriller, The Visit, produced by Jason Blum; Everest, an epic adventure from Universal, Cross Creek and Working Title, inspired by the incredible events surrounding an attempt to reach the summit of the world's highest mountain that is directed by Baltasar Kormákur; Steve Jobs, the drama from Oscar® winning-director Danny Boyle and Oscar® winning-writer Aaron Sorkin; Crimson Peak, the gothic romance from Legendary directed by Guillermo del Toro; By The Sea, the new drama from writer/director Angelina Jolie Pitt, starring Brad Pitt and Jolie Pitt; Krampus, the horror-comedy from Legendary; and Sisters starring Tina Fey and Amy Poehler.